Asus was busy downsizing its graphics cards this week, but in a good way. 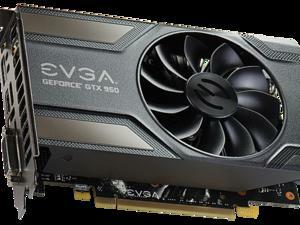 The company revealed two new versions of Nvidia’s GTX 950 that are ideal for PCs with paltry power supplies and anyone rocking an HTPC with a mini-ITX motherboard. Neither build sacrifices the basic specs of the GTX 950, but they do follow the lead of the older GTX 750 Ti and sip all their power from the motherboard PCI-E connection—no extra power pin connections required. The first new card is the Asus GTX 950-2G (pictured at left above), which lacks the 6-pin power connection required by the stock GTX 950 models by limiting its TDP to 75 watts, the amount provided by a motherboard's PCI-E slot. Nvidia’s standard design for the 950 requires a power draw around 90W. Other than the lower power requirements all the other specs appear to be stick to the GTX 950 standards. 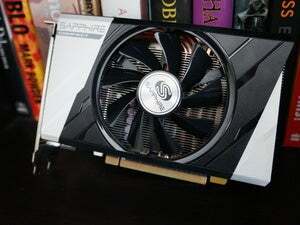 The card has 2GB of onboard GDDR5 RAM, a base clock of 1026 megahertz, and a boost clock of 1190MHz. As for ports, you get a HDMI 2.0 port, a DVI-I port, and a DisplayPort. The only thing to watch out for with the 950-2G, as Anandtech reports, is that the card may throttle back performance under heavy loads due to the lower power requirements. The 950-2G’s 75W maximum power draw is the absolute limit of what a PCIe slot can provide. Drawbacks like this are expected, however, as you usually have to give up a little bit of performance in exchange for reduced power demands and the more convenient design. A few days after the 950-2G came out, Asus also introduced the Mini GTX 950-2G (pictured at right above). This is basically a cut-down version of the 950-2G. Again, it comes with no PCIe power connector, and the same external ports as its bigger brother. The single-fan design measures just 6.7-inches long, making it a good fit for mini-ITX boards in HTPCs and other diminutive PCs. The impact on you at home: Graphics cards that don’t require extra power through a PCIe connector are a boon to older PCs, HTPCs with limited space for new components, and prebuilt "boxed" PCs that don't come with beefy power supplies. As long as you have a compatible PCIe slot these new cards can breathe new life into your PC for gaming and other graphics-intensive chores. The new graphics cards are live on Asus’ site, but the company hasn’t mentioned a price or release date for either version. We’d expect both cards to be priced competitively in the sub-$200 range. That’s especially important for the Mini 950-2G, which will have to contend with the superb Sapphire Nitro Radeon R9 380 ITX Compact—a card that will offer superior frame rates, but needs an extra power connection.